1. 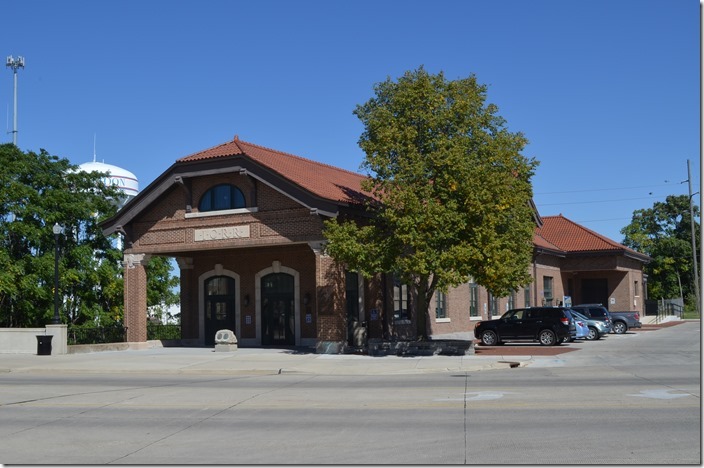 Former Illinois Central station at Mattoon IL. 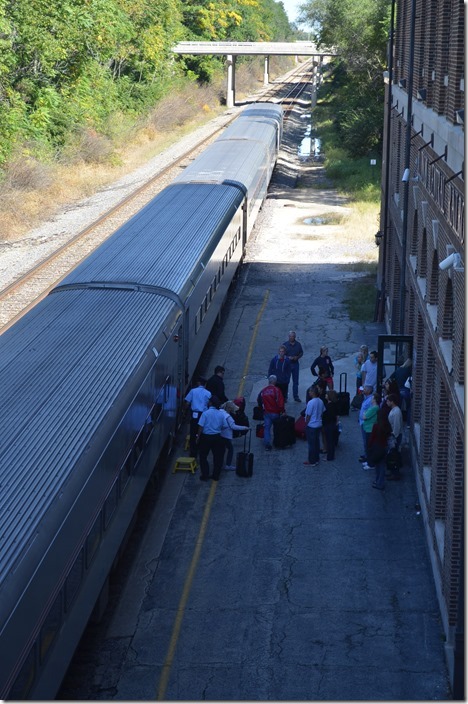 09-21-2014 Amtrak station. 2. 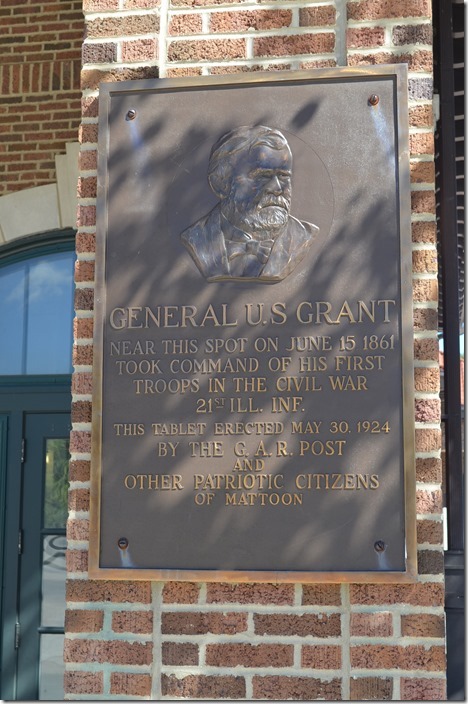 U S Grant historical marker. 4. No. 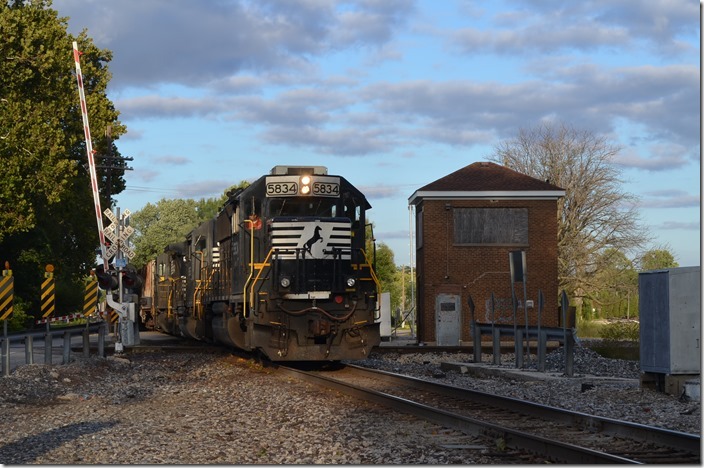 391 departs Mattoon. 5. 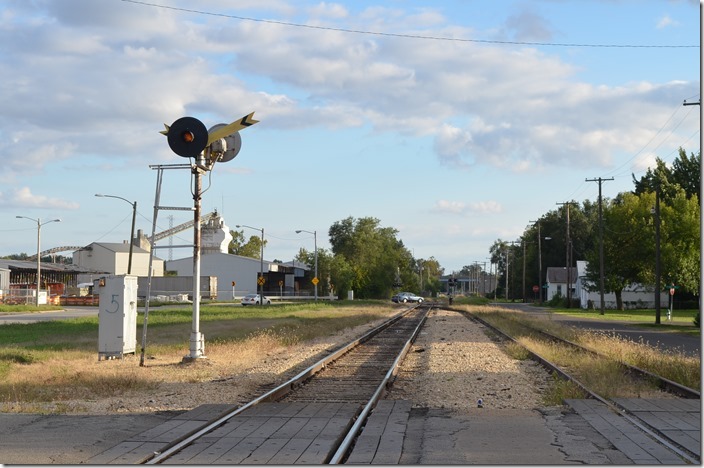 The former IC yard is in the background. 6. 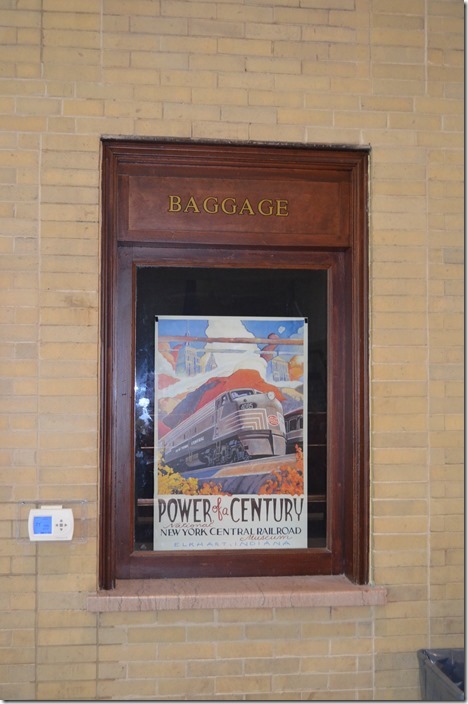 NYC’s St. Louis main line once ran through, but I’m not sure if it used this station. NYC travel poster. 7. 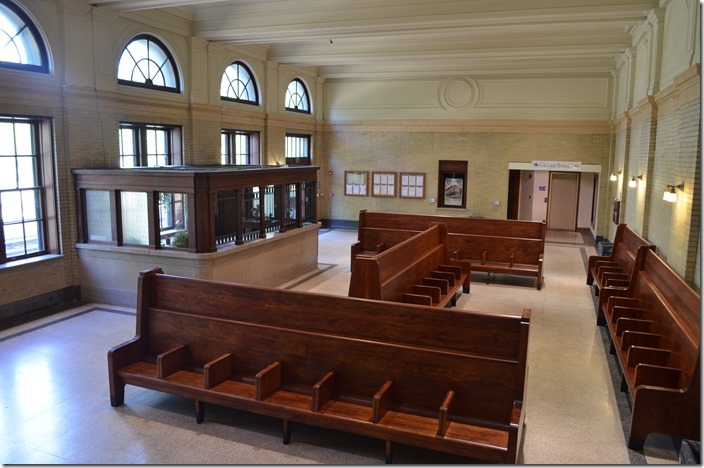 Interior of Mattoon station. Amtrak. 8. 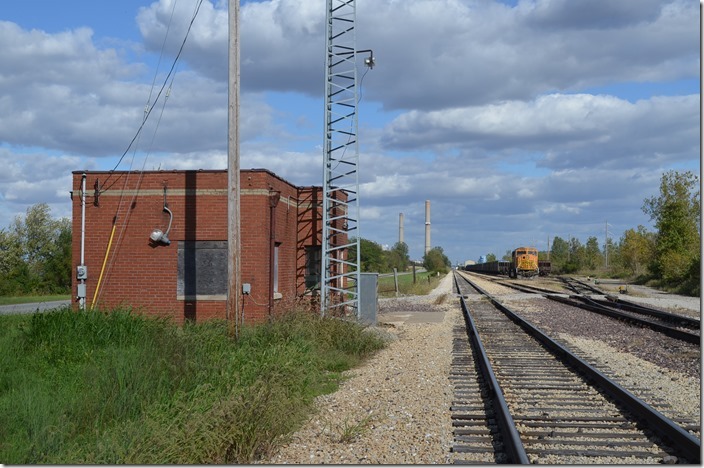 Former Illinois Central yard office in Mattoon IL. 9. IC caboose 199500 was built in 12-1968. Ugly but probably good riding. 10. 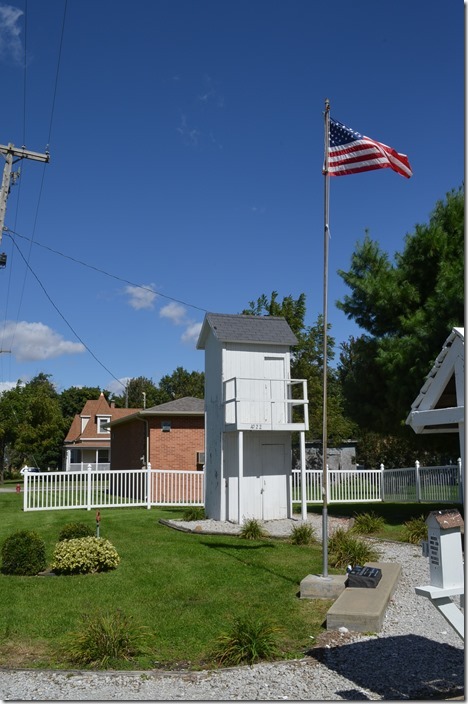 2-story outhouse in Gays IL. Gays was on the NYC main line to St. Louis. NYC probably had a depot there at one time, but I doubt it was for a potty break. 11. 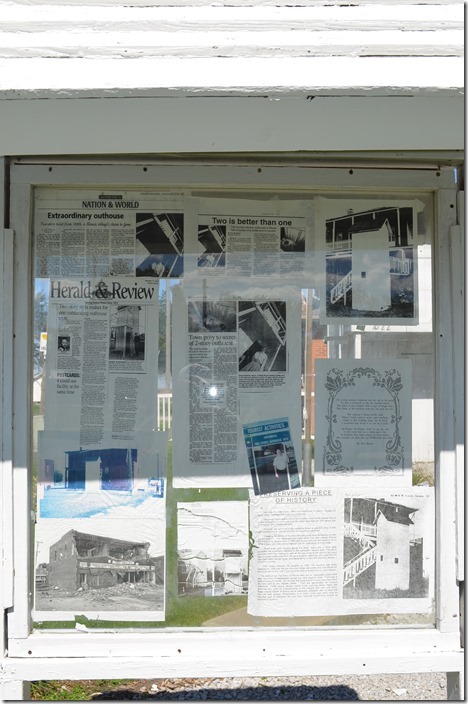 2-story outhouse Gays IL Reading material. 12. 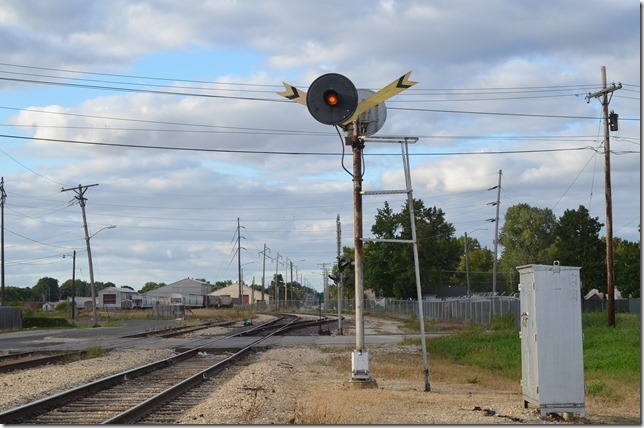 UP signals on the former MP nee-C&EI at Pana IL. C&EI used the NYC from here into St. Louis. Presumably the UP now uses the former NYC. We took a lunch break here with ham/cheese luncheon meat sandwiches from the back of the Explorer. 13. NYC and IC also went through Pana. 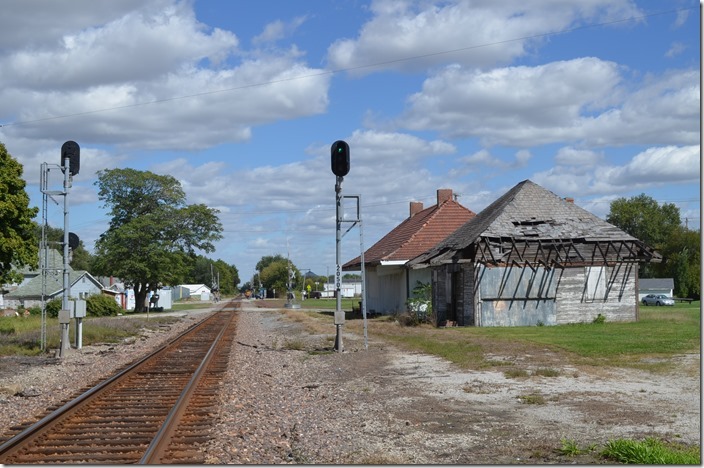 I’m not sure of the heritage of these structures, but I’m looking westward. 14. NYC structure Pana IL. 15. 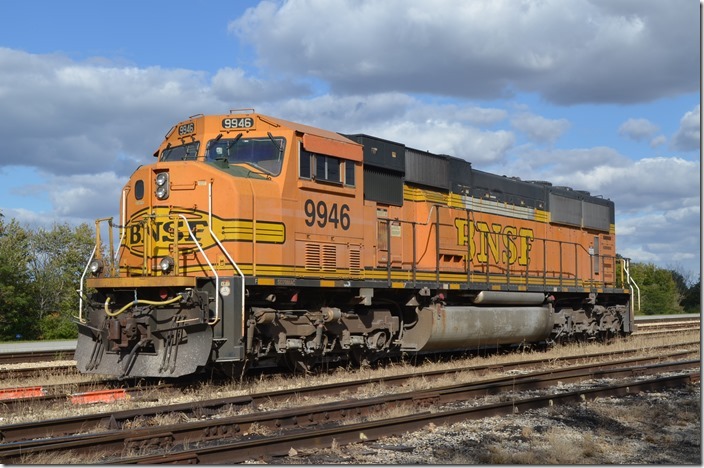 BNSF 9839-9288 on a train of CSUX (City of Colorado Springs) hoppers at Equi Power Resources Kincaid generating plant. 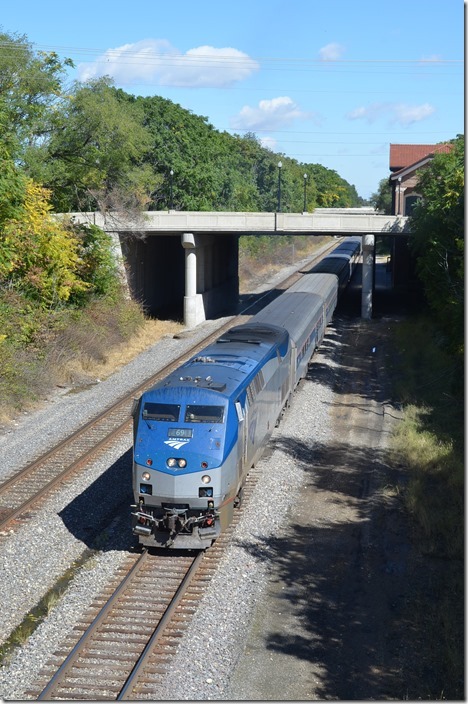 This is on the former Chicago & Illinois Midland which is now the Illinois & Midland, a subsidiary of Genesee & Wyoming Inc. Ellis IL. 17. The Kincaid power plant is former Commonwealth Edison. Equi Power Resources Kincaid. 18. 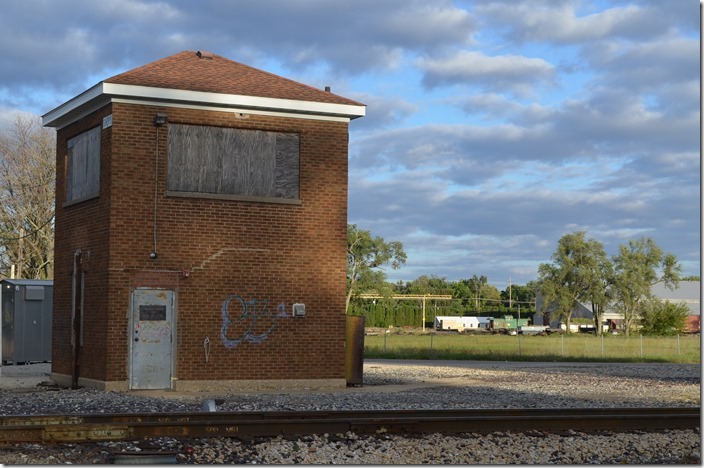 C&IM’s former Ellis IL yard office. 19. 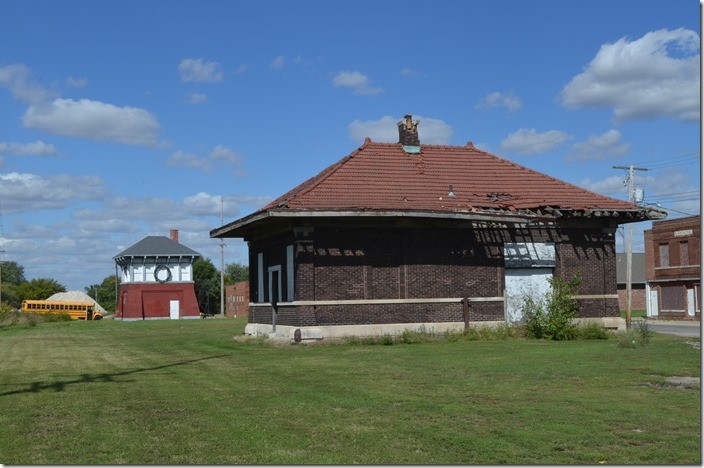 The coal transfer building is in the background. Peabody No. 10 mine was on the right years ago. In 1956, for example, Peabody No. 10 was the largest in the country. It loaded 3.4 million tons. C&IM really liked that. 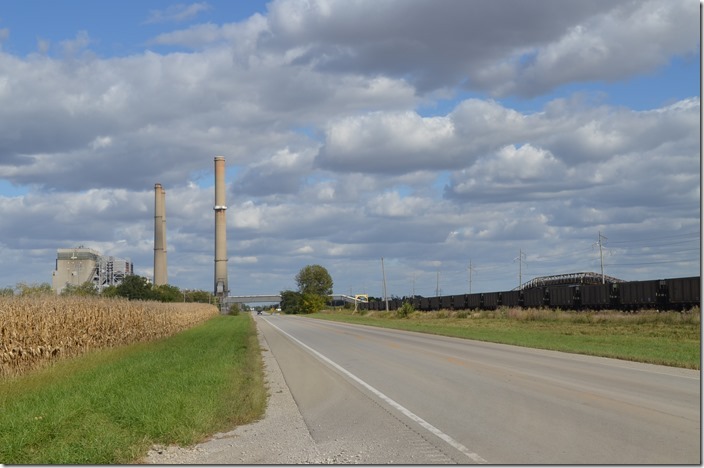 Now—instead of coming from across the road—the plants coal comes from Wyoming! 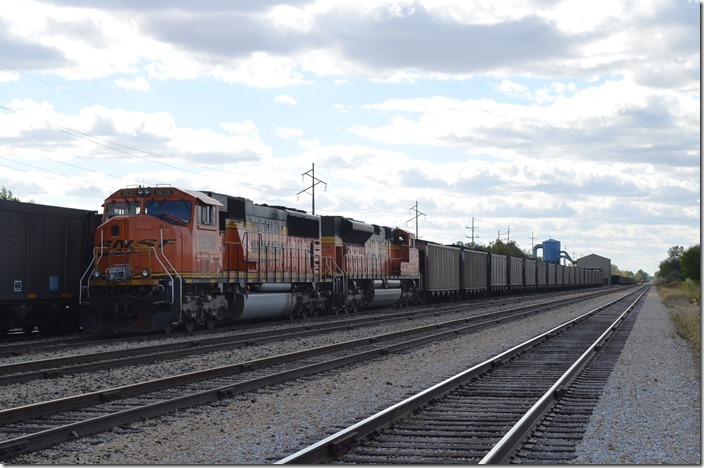 The former C&IM is a terminator of coal trains rather than an originator. 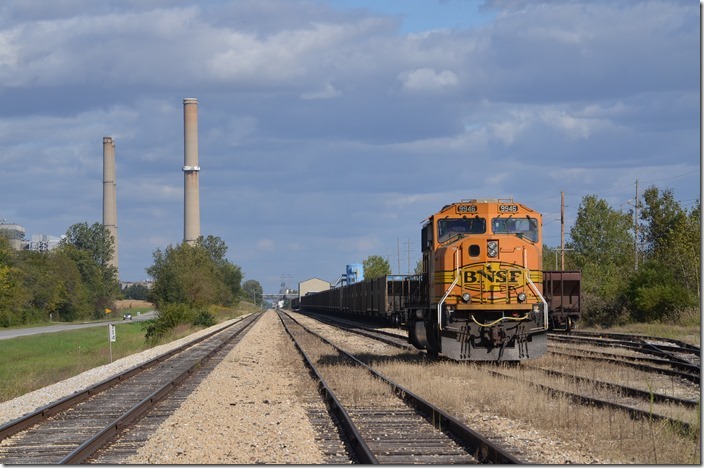 BNSF 9946 Ellis IL. 20. 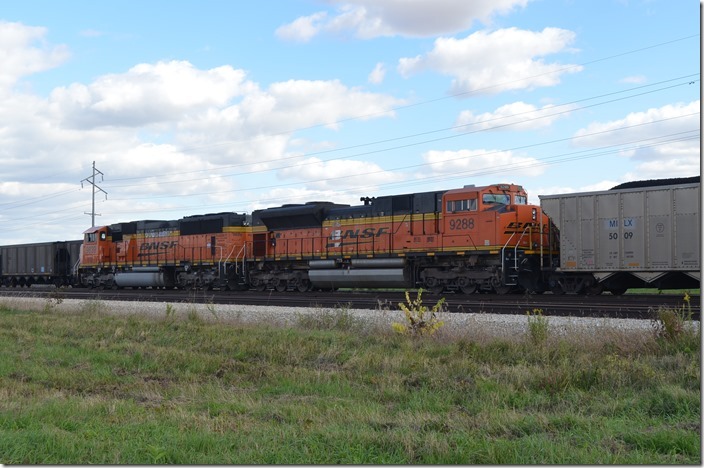 BNSF SD70MAC 9946. 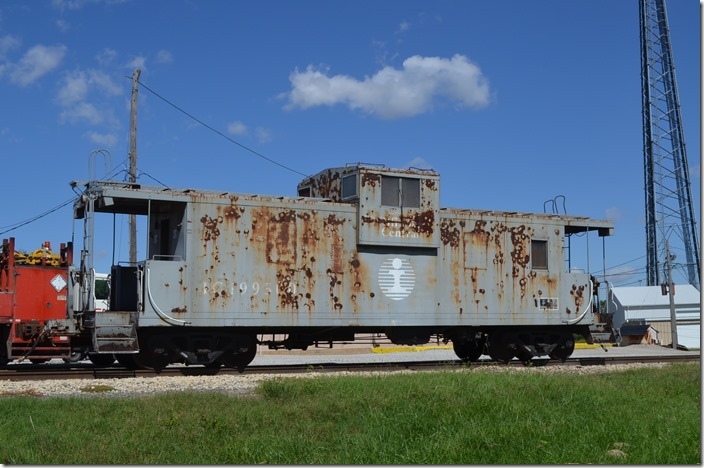 This may have been the DPU unit for the coal train . Ellis IL. 21. I&M approach signal to “Shops” Tower and interlocking. 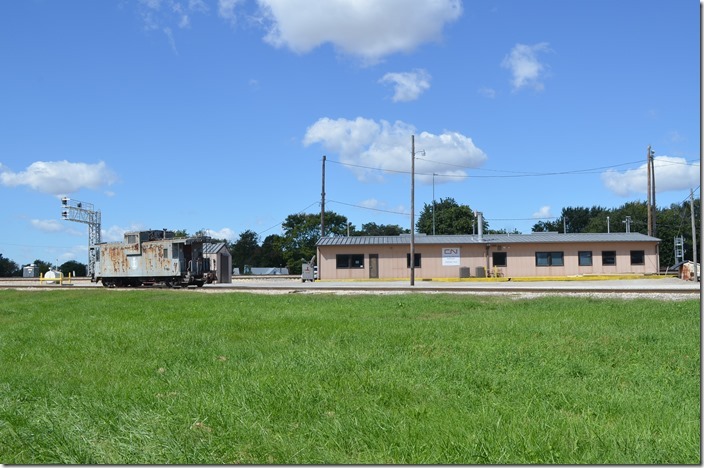 The metal buildings in the background were C&IM’s diesel locomotive shop. Springfield IL. 22. 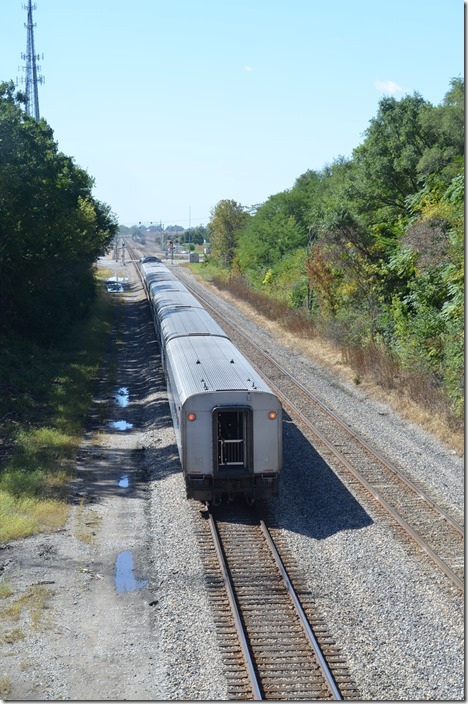 I&M signal Springfield IL View 2. 23. 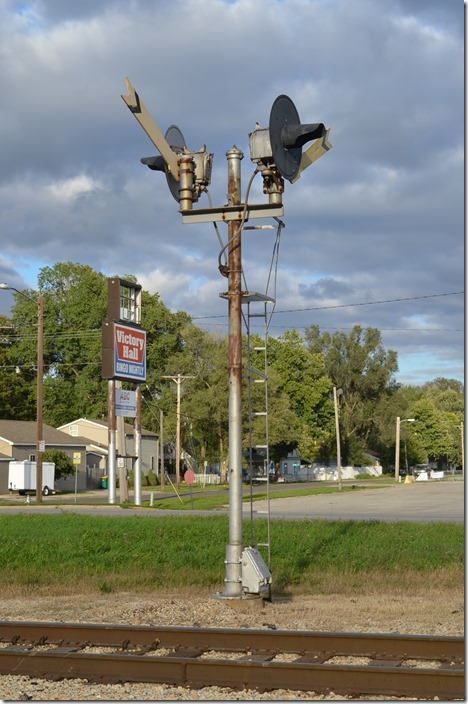 I&M signal Springfield IL. View 3. 24. Looking south. 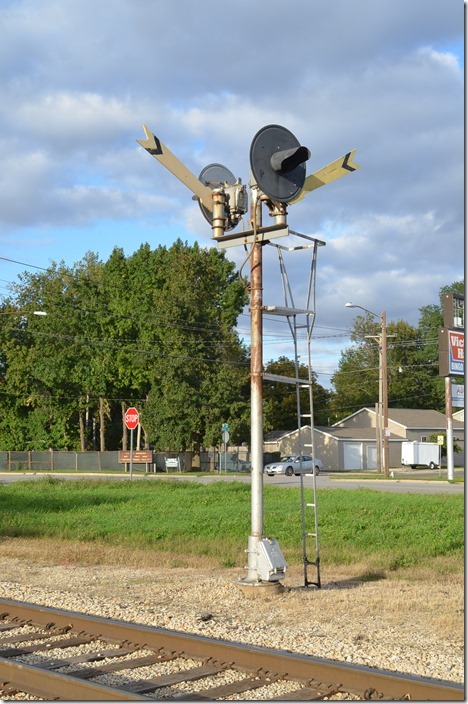 I&M signal Springfield IL. View 4. 25. 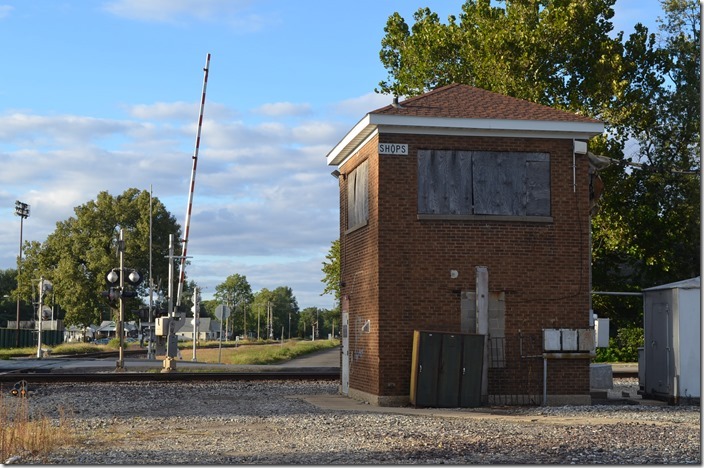 I&M Shops tower controlled the crossing with NS’s former Wabash Decatur to Kansas City line. 26. 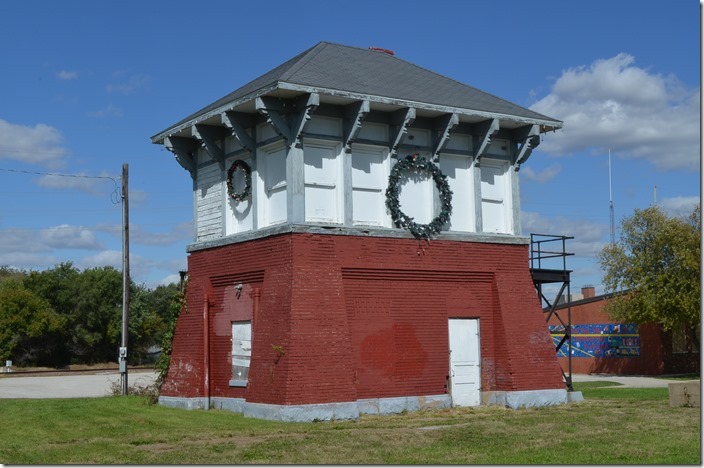 The tower was closed around 1989, and its function was transferred to the train dispatcher. 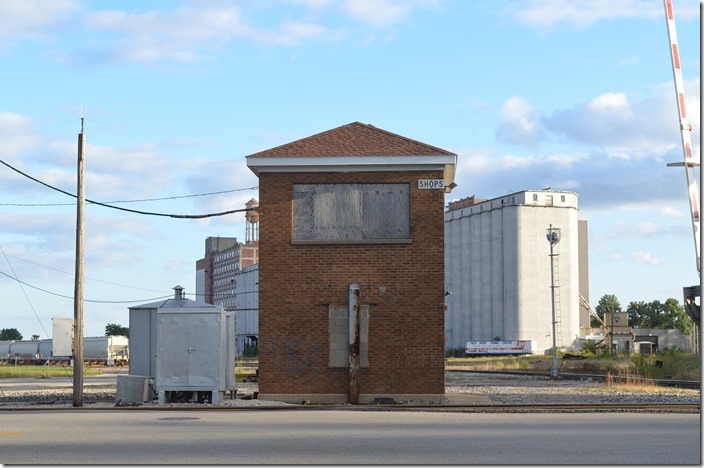 The huge former Pillsbury elevator adjacent to the C&IM yard once provided almost a hundred inbound and outbound loads for the railroad daily. I&M Shops Tower. 27. The C&IM caboose was the only green item that I saw. Evidently I&M services their engines elsewhere these days. I&M Shops Tower. 28. Hark! An air horn in the distance! NS 5834-5155-556 slowly rumble into town with a westbound grain train. Springfield IL.